Across the world, 821 million people are hungry – including millions of children. Nearly half of all deaths in children under the age of five are attributable to undernutrition. This means we unnecessarily lose about 3 million young lives each year. It’s tragic and unacceptable. Everyone has a role to play in ending global hunger, and increasingly, the private sector is stepping up to do its part. General Mills, in particular, has been a trailblazer in partnering with nonprofits such as World Food Programme (WFP) for social good, and is a critical supporter of WFP school meals initiatives around the world. 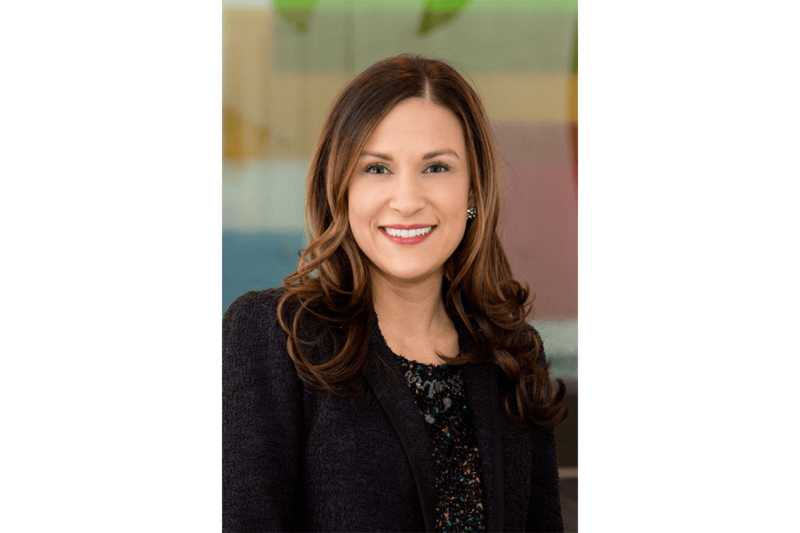 We talked to Mary Jane Melendez, executive director of the General Mills Foundation, to learn more about why the company prioritizes nonprofit partnerships and cares so deeply about solving world hunger. WFP USA: What is your view on the importance of nonprofit/private partnerships in tackling global development and spurring sustainable economic development? MJM: With 821 million people experiencing hunger around the world, we’re going to need everyone at the table – and working in collaboration – to tackle this challenge. Partnerships between the private sector and nonprofit sector are essential to ensuring that we all share our expertise and unique contributions to solving this challenge. WFP USA: How do you see nonprofit/private partnerships evolving in the future? What will they look like in 5-10 years? MJM: More and more, I see the private sector sharing their expertise via intellectual philanthropy by leveraging the knowledge and skills of their employees to advance the mission and programs of nonprofit organizations – and nonprofits increasingly drawing on these resources. Our partnership with Partners in Food Solutions is a terrific example of how General Mills employees are sharing their knowledge and skills with food companies in Africa, which is helping to build sustainable, self-sufficient supply chains in the region. In the coming years I anticipate that these kinds of intellectual philanthropy partnerships will become an increasingly important and prevalent component of philanthropy and nonprofit/private sector partnerships. WFP USA: Why is the issue of global hunger relief important to General Mills? MJM: As a global food company, our purpose is to serve the world by making food people love. We believe food should make us better. Food brings us joy and nourishes our lives, connecting us to each other and the earth. Our commitment to global hunger relief stems from this purpose, as it is also an issue that our employees worldwide are deeply passionate about. WFP USA: There are lots of organizations that work to solve hunger. Why did you choose to work with WFP? MJM: We’re pleased to have World Food Program USA as a partner because of its global reach and strong presence in key markets for General Mills, such as China and India, enabling us to contribute to hunger alleviation in those places our employees call home. As the world’s leading provider and technical assistance partner for school meals programs, WFP is a logical partner for us to advance our strategic focus of increasing food security by expanding access to and strengthening school meal programs globally. WFP also has tremendous expertise and credibility in the hunger-relief space, and we value the ability to learn alongside it in our partnerships. WFP USA: You’ve worked with WFP on multiple initiatives. Most recently, the school meal fortification project in India and the preschool meals program in rural China. Can you tell us a bit about these programs? MJM: In India, we’ve partnered with WFP to enable a school meal fortification program in the eastern state of Odisha, where a large proportion of youth exhibit symptoms of malnourishment, including anemia, wasting and stunting. Through the program, school meals will be fortified through rice and micronutrient powder added to curry dishes with critical nutrients like iron, zinc and vitamin A. Similarly, our partnership is supporting a second pilot site in Uttar Pradesh. In total, these two pilot sites enable us to reach 322,000 children annually with nutritionally fortified school meals. In China, we recently partnered with WFP to address malnutrition among 3- to 5-year-olds in rural, impoverished communities. We are funding a three-year pilot program that provides preschoolers with a free, healthy school lunch and nutrition education. WFP USA: What has been the most rewarding part of this partnership for you? MJM: It’s been immensely rewarding to see how our partnership with WFP inspires and engages our employees. For example, when our partnership with WFP launched in 2016, WFP India and General Mills employees convened at our Mumbai offices to share employees’ expertise and problem-solve together. In 2018, we hosted WFP Executive Director David Beasley here in Minneapolis, giving employees the opportunity to hear directly from him about WFP’s important work and the impact our partnership is having. As we continue to work together we are glad to continue identifying and leveraging ways in which General Mills employees can engage in and be inspired by our work together. WFP USA: Is there a particular person’s story or success that has stood out to you? getting nourished with vitamins and minerals like iron, zinc, and vitamin A, that help her body and mind grow healthy and strong, so she can succeed in school and accomplish her dream. WFP USA: What would you say to other private companies that want to help solve hunger? MJM: When you look at the challenge of global hunger as a whole, it can be quite daunting and difficult to know where to begin. But when you look at the opportunities for impact – such as school meals programs that nourish children in need – the avenues to take action become quite clear and attainable. I’d encourage anyone to identify those areas of focus most relevant to them, and not hesitate to dive in with a strong partner to move the needle where you can. At WFP USA, we’re grateful for the support of General Mills and its commitment to ending hunger. To learn more about WFP’s work and private-sector partnerships, visit the corporate partners section of our website or follow us on Twitter and Linkedin.